GOLF COURSE VIEWS! 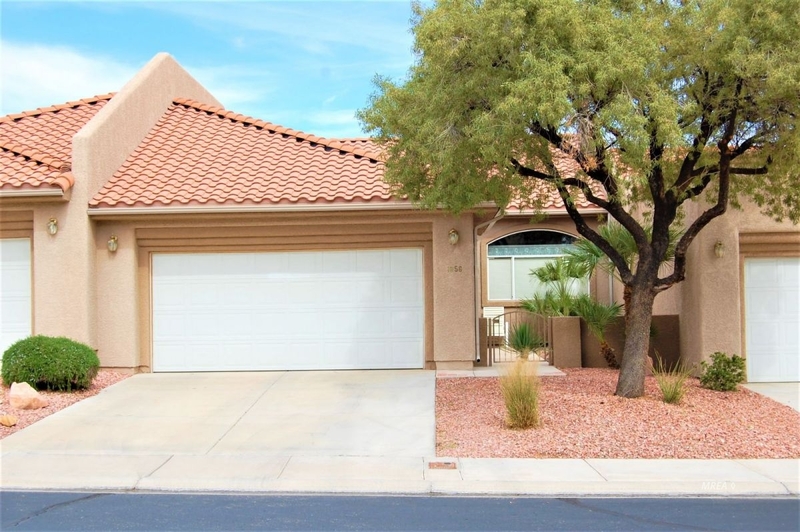 This townhome is located on the 15th hole of the Oasis Canyons Golf Course. Great Orientation with the backyard facing East allowing Patio shade from the afternoon sun. Front yard has a small gate that welcomes you to a spacious courtyard. Inside the vaulted ceilings and view of the golf course are fantastic. Kitchen has cherry raised-panel cabinets and with gray Corian style countertops. Flooring is Tile and Carpet. Large Master Bedroom and Master Bathroom. Second Bedroom and Main Bath are in the front of the house separate from Master Bedroom. Covered Patio is tiled gives the feeling of extended living space to the home. Many nice upgrades here! The Landscaping is maintained by the HOA front and rear, year round. There are Clubhouse and Pool as part of Mesquite Vistas of which the owner has access.